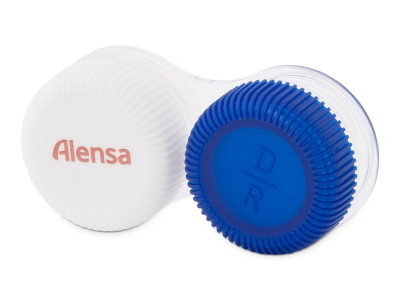 This classic contact lens case is made of durable plastic and is suitable for use with all types of soft contact lenses that require overnight care and maintenance. The lower part of the case is transparent, and the lids are colour-coded for easier recognition of the right and left lenses. The case features a high-quality seal to ensure that the solution does not leak, and the white cap bears the familiar Alensa logo. To keep your eyes healthy and vision clear, always follow the recommendations of your optician or eye-care specialist. 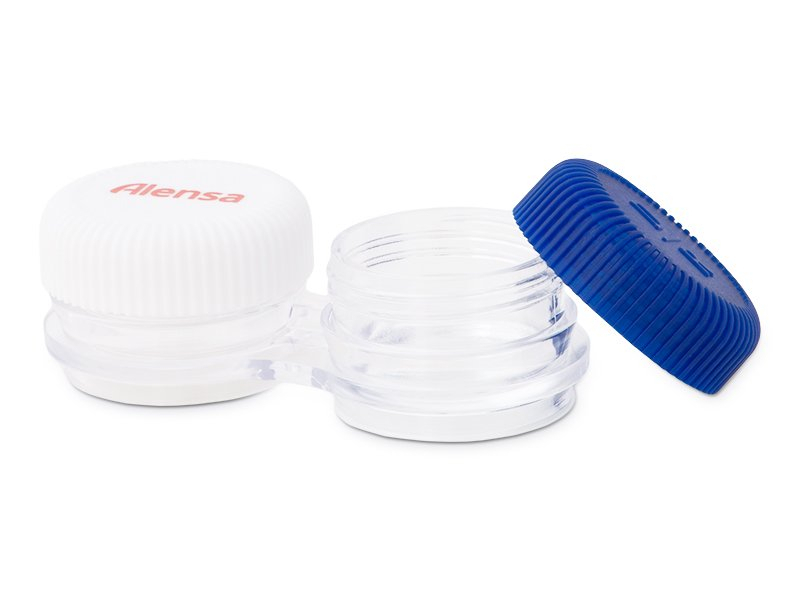 It is recommended to replace your contact lens case at least every three months, and ideally when you open a fresh bottle of solution. Never rinse the case or store your lenses with tap water. Before using a new case, always rinse it thoroughly with solution.